WILLIAMSTOWN, Mass., April 11, 2019—Williams College junior Tania Calle has been awarded the Harry S. Truman Scholarship, a highly competitive award given to college juniors demonstrating exceptional leadership potential who are committed to careers in public service. The daughter of Ecuadorian immigrants who grew up in Corona, Queens, N.Y., Calle plans to pursue a joint M.D./M.P.H. degree through the UCLA David Geffen School of Medicine PRIME program to develop clinical and political analysis skills in preparation for a career as a physician, public health specialist, and immigrant rights advocate. At Williams, Calle has served on the College Council, is a member of Berkshire Doula Project, and is a student liaison for the Political Science Advisory Committee. She is also the political events coordinator for Vista, the Latinx student union, where she hosts teach-ins and community-building events, and is a member of the dance group Ritmo Latino. Beyond Williams, she has volunteered in the local community, including at the Berkshire Immigrant Center and at Williamstown Elementary School. In addition, she has completed internships with the University of Pennsylvania Summer Undergraduate Minority Research Program and the New York Academy of Medicine. This summer, she will be participating in a National Institute of Health funded research training program in Quito, Ecuador, to identify the social determinants of teenage pregnancy. 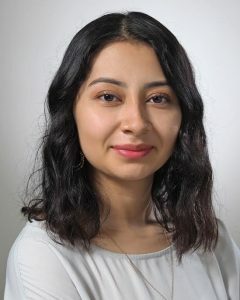 “As an aspiring physician and public health researcher, I hope to help American policymakers recognize health as a human right by providing necessary medical care, publishing research that sheds light on the health consequences of U.S. immigration policy, and emphasizing the role of physicians as social justice advocates,” Calle says. Calle is one of 62 recipients chosen from an applicant pool of 840 from 346 colleges and universities, a record number of both applications and institutions. Truman Scholars receive a $30,000 scholarship toward graduate school and the opportunity to participate in professional development programming to help prepare them for careers in public service leadership.